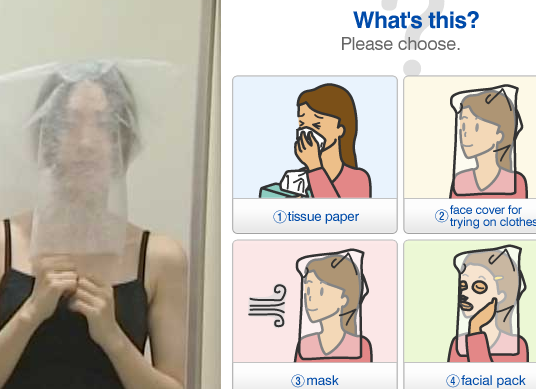 You can learn Japanese and find out about Japanese culture in a fun way with lots of video skits, games and quizzes found in this online version of the DVD learning material "エリンが挑戦！にほんごできます。 (Erin's Challenge! I can speak Japanese)". As well as Japanese, there is English, Spanish, Portuguese, Chinese, Korean, French and Indonesian language support. 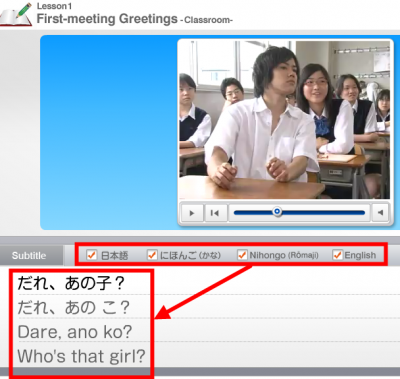 You can learn how to use the expressions you have studied in real situations by watching video skits. 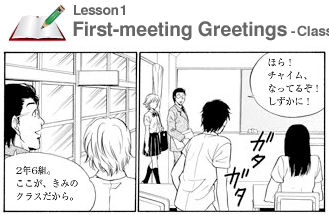 You can study Japanese by listening to a near-natural form of the language. You can see and experience for yourself various aspects of Japanese culture. 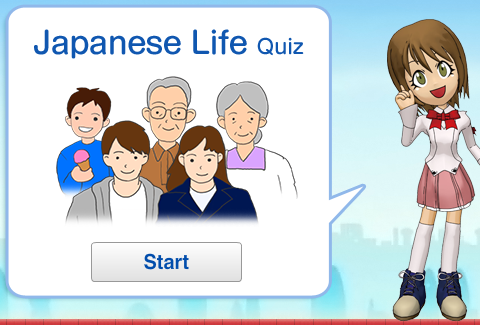 You can enjoy finding out about Japanese culture through quizzes and games. Skits are numbered from Lesson 1 to Lesson 25. Each lesson has 7 sections, with each section presenting some different contents. You can also see this in manga form. 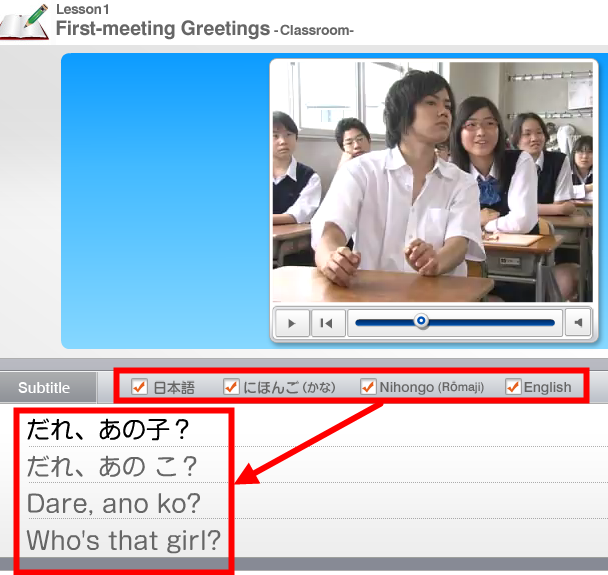 You can choose to view the subtitles for the skit in kanji/kana, kana only, romaji or English. 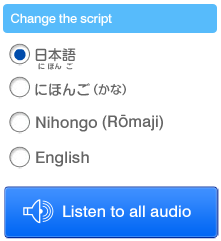 In the manga skit, you can switch between different notation forms for the script and listen to audio. Each lesson has some exercises for you to do, so you can make sure of the contents again. The language used and the speed of the skits here are pretty much the same as you would find in a normal conversation between Japanese people. There are practice questions too. Here you can study the key expressions used in the skit. 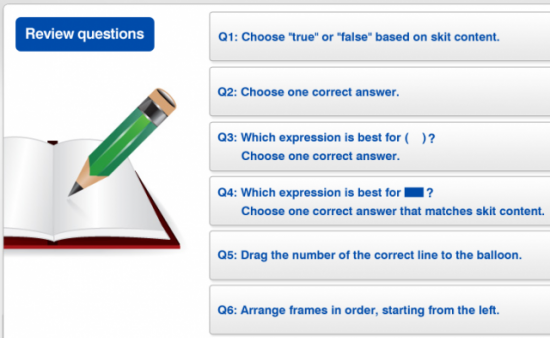 Interesting things related to each lesson's situation or topic are introduced here in quiz form. Here too, interesting things related to each lesson's situation or topic are introduced in quiz form. There are also quizzes about Japanese culture. Here you can try out all kinds of Japanese stuff associated with each lesson, and experience through games things related to the lesson content. Below you can see the 'Let's try!' section for Lesson 10: Asking Permission - Fashion, about nail art. It looks quite realistic and is good fun. You can print out and save your finished artwork. Here you can memorise language related to each lesson's situation or topic with pictures.